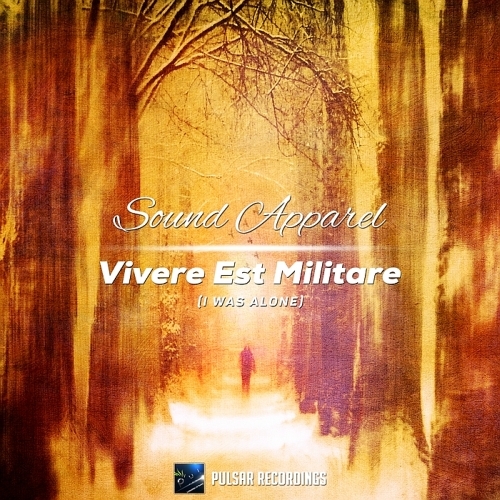 Trance music can help us on our journey as Pulsar Recordings presents you the Mozart of Trance, artist better known as Sound Apparel who will lift your spirit high and make you soul dance with his newest composition called 'Vivere Est Militare (I Was Alone)'. The journey starts with big beats and very optimistic, uplifting synths that get us going; growing our anticipation with every new note for that breakdown, something this artist is widely known for. Beautiful piano melody starts playing, and we start experiencing those goosebumps on our skin. The real story starts with the reveal of a violin that becomes the main highlight of this breakdown, driving us further and further as big majestic strings follow its game.